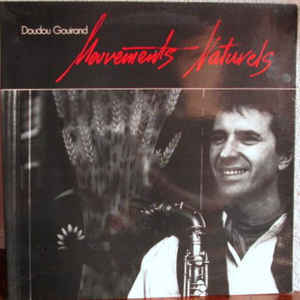 Doudou Gouirand is a french saxophonist who has started to record in the middle of the seventies. As side man he have worked with Pierre Dørge New Jungle Orchestra, Mal Waldron, Johnny Dyani, Okay Temiz’s Oriental Wind, Michel Marre to name a few. Some of those musicians are featured on his own albums. In 1985 he have recorded « Forgotten Tales » with Don Cherry on one track but this album is not so memorable in my opinion. Three years before he published « mouvements naturels » with some of the musicians previously mentionned + Chris McGregor on one track. I got a problem with 1fichier this time - anybody luckier can upload to another host please? From where I'm currently I can't help Milos so if someone else have downloaded this file and can satisfy the request it would be great. Thanks in advance. Thank you very much, correct silence. I will listen in seconds. But, yeah, we transfer is not solving my problem with 1fichier, as I believe my Sophos Home shield - there is something wrong with some uploads or links on this host. Here is mp3@320 if you like. I don't have flac no more.